A pair of these Western style, handcrafted end tables will look great on either said of your sofa. 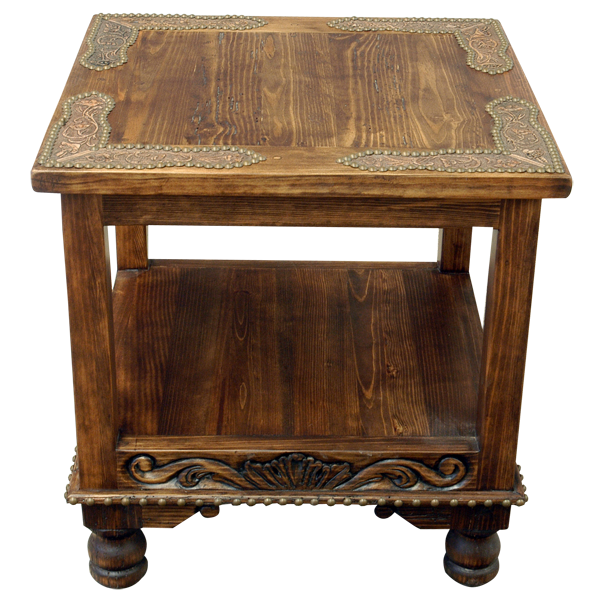 The square top of this custom end table is adorned with hand tooled leather placed in its corners. The leather is precision hand tacked to the top with beautiful, decorative nails. Below the top of the end table is the base, and the base acts as an additional tray. 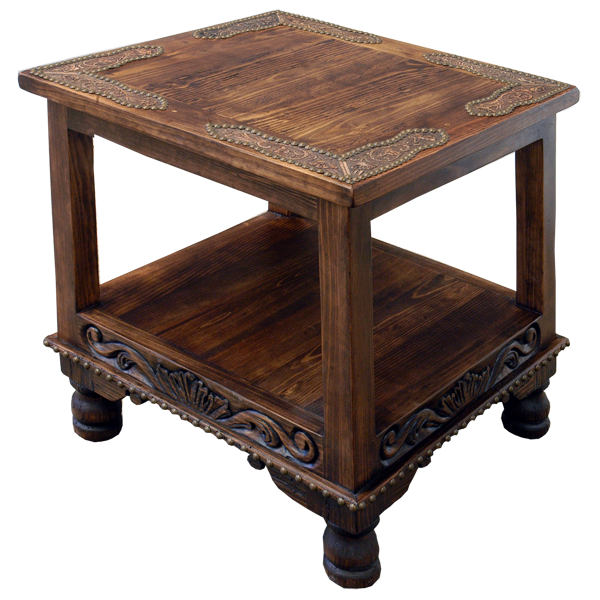 The base of the end table is adorned with lovely, hand carved, floral designs and with hand tacked, decorative, gilt nails. This custom end table is supported by sturdy, hand turned, wood feet. The light finish of this table highlights the wood grain of the end table. Both durable and functional, this custom furniture is made with the best, sustainable, solid wood available, and it is 100% customizable.